Mornan (S. "Black valley") or Morthond Vale is a wide, green and fertile valley in the southern White Mountains, carved out by the River Morthond, or Blackroot, on its way southward to meet the sea. 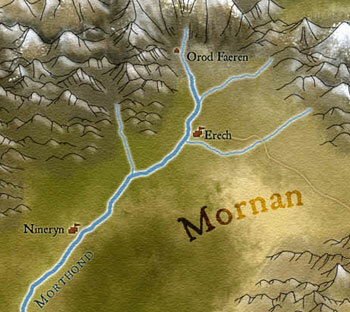 Lying directly to the west of Lamedon, the Morthond Vale is a populous area owing allegiance to Gondor. Formerly it constituted the heart of a Gwathuirim Kingdom of the Mountains, which was subdued by king Turambar in III 569 and enfeoffed to certain Gundor. By the time of the last true king of the native folk, Cober the Fey, died in III 679, the vale had become thoroughly incorporated to Gondor. As rich as the vale's grasslands were, its people avoided its upper slopes, where the Morthond sprang from the Mountains near the Hill of Erech. There, the Oathbreakers were said to gather, the cursed Dead that haunted the dark paths beneath the Mountains. Mornan became the core territory for the brief but powerful mountain domain of the Gwathuirim people called Daen Coentis during the late Second Age. They were skilled workers in stone and keen observeres of the seasons and the night skies. 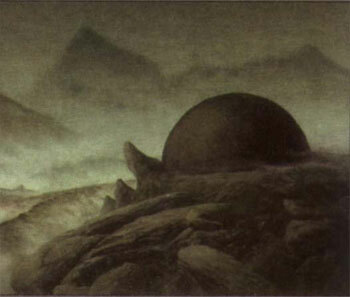 In II 3320, the High King of the Mountains, Merro Glastanan, shore an oath of friendship with Elendil and his heirs. Yet already there were mutterings of disconent; many said that the Dúnedain depredated their ancestral lands, taking oaths of fealty, and giving nothing in return. In those days the Paths of the Dead were built as tombs of the deceased High Kings and their leading clan. "Thou shalt be the last king. And if the West prove mightier than thy Black Master, this curse I lay upon thee and thy folk: to rest never until your oath is fulfilled. For this war will last through years uncounted, and you shall be summoned once again ere the end." 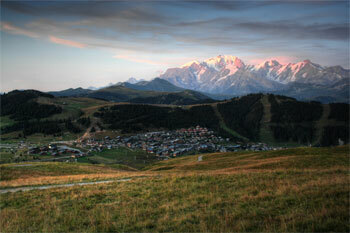 Daen Coentis retreated to the mountains and had no dealings with other men. Slowly their numbers started to dwindle, their cattle and women become barren and mines unproductive. Those who followed the cursed kings partook in their demise and become Oathbreakers; those who moved away and accepted the rule of the Dúnedain become men of Lamedon and Morthond Vale. Mornan became Gondorian ward in III 569. After the last king of the Oathbreakers died in III 679, a castle was built near the Hill of Erech to keep an eye at the subdued Dunlendings. It was completed in III 714, when Mornan finally became a Gondorian province. A great grassy hill rises from the rolling fields three miles southeast of Sarn Erech. This is the Hill of Erech, the most commanding point in the Morthond Vale. Revered by the Gwathuirim, it is now a haunted height. Atop the hill is the half-buried Stone of Erech, also known as the Black Stone, a black glassine globe as tall as a man. In the very early days of Gondor, the king of the men who lived in the White Mountains swore an oath of allegiance to Isildur on the Stone of Erech. This oath was betrayed when Isildur called upon them to fight Sauron in the War of the Last Alliance. That caused Isildur to curse them to remain undead until they had fulfilled their oath. It is believed that the Dead come to the hill every night, guarding its spiral path. "...was a unique Seeing Stone brought from Númenor and placed in a stone bowl atop this hill. Although it could not be turned, it afforded a watch over Gondor's home provinces, the waters of the Bay, and the vales of the Mountains." However, the weight of the stone (estimated to be at least 60 tons) makes the story implausible at best. Moreover, the Stone of Erech is not mentioned in Akallabêth, nor in any other extant Númenorean texts. Therefore the origin of the stone remains somewhat mysterious.